"1973 Ruby Yearbook" by Jay C. Walter, Shirley Cressman et al. 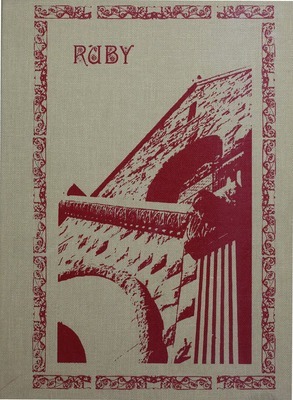 A digitized copy of the 1973 Ruby, the Ursinus College yearbook. This digital copy of the Ruby is available as a downloadable, searchable PDF document. It may take a few minutes to download. Walter, Jay C.; Cressman, Shirley; and Senior Class, Ursinus College, "1973 Ruby Yearbook" (1973). The Ruby Yearbooks. 77.